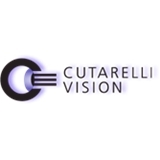 Cutarelli Vision (Englewood) - Book Appointment Online! Specializing in LASIK, LASEK, Cataract removal, Corneal Cross Linking, Pterygium removal, Corneal transplants and much more! I met with other doctors and assistants. But they were all very nice and helpful!